Clear your calendar - It's going down! GHBC Family Fest & Crawfish Boil kicks off on June 27th, and you're invited to take part in the festivities. Jones Plaza (610 Louisiana St) is our meeting spot for a day of fun and excitement. Come one, come all, bring the family, and hang loose. This is going to be epic! Justin's Seafood will be cooking some Southern favorites ranging from crawfish and fried catfish. Make sure to bring the family. We will have a variety of children's activities for children of all ages. 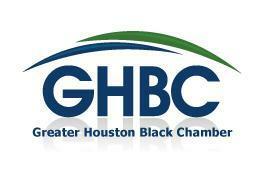 Meet and network will the Houston Black Business network as GHBC Members and Non-Members alike provide information and products from their business. Cut loose and dance the day away as Houston's hottest local entertainers provide a day of fun. WITH AFRICAN-AMERICAN OWNED BUSINESSES, ENTREPRENEURS AND PROFESSIONALS. Sorry. Pre-Order tickets are sold out. Purchase your tomorrow on site.